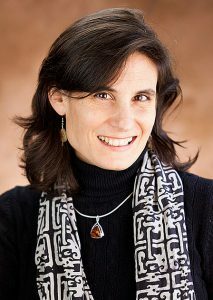 Amy Scharff worked as a business writer, editor, and marketer for 17 years—including running her own writing business, being the Director of Marketing for COCA, and developing and writing websites for various e-business ventures—before returning to school mid-career for a Master’s degree in teaching, which she received at Webster University. Amy then taught business, marketing, and English at the high-school level, using her years of training in group dynamics and communication to manage hundreds of students each year. Amy has also coached graduate and undergraduate students in academic and business writing at Webster University; taught and led workshops in group dynamics, creative writing, communication, and leadership; run teen peer groups at an international leadership camp in Switzerland; and facilitated SIUE’s Family Business Council. As an integral part of the Presidents Council offering, Amy currently runs and moderates both Leadership Council groups of key executives from mid-cap businesses in the St. Louis region.